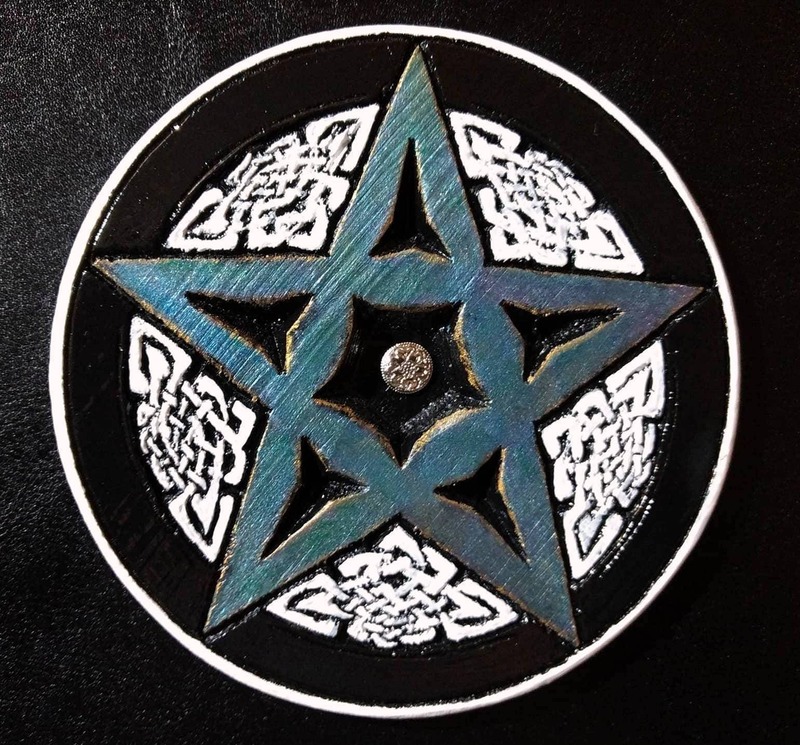 Leather album with wooden pentagram star emblem in the middle. This would be great for a scrapbook, photo album, witchcraft, etc... There are 50 plastic sleeves in the album that fit a 12" X 12" sheet inside of them that are held in place with screw posts for easy removal. The actual album measures 14" wide X 12.5" tall and 2.25" thick. The wooden emblem measures about 5" diameter. Only one available at this time.